Newall Green High School is a mixed 11-18 comprehensive in Manchester. 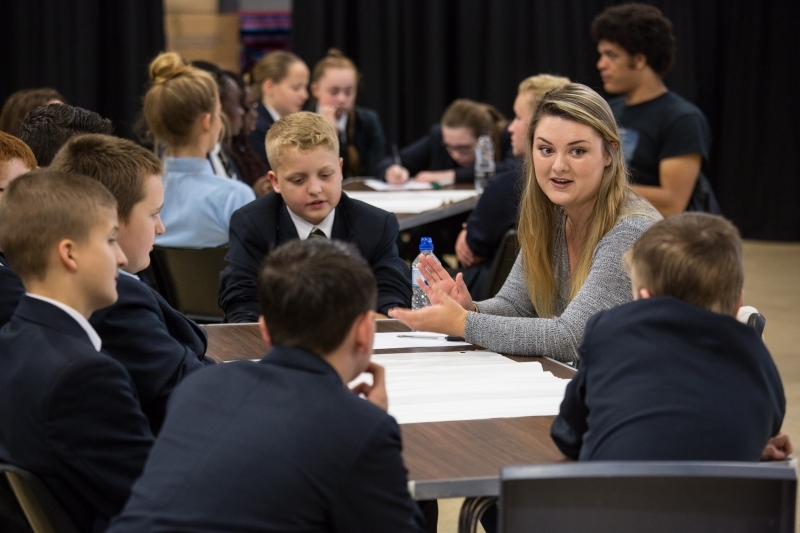 The school has been working with Future First for three years to grow a community of former students and embed a community culture across the school. According to the Social Mobility Index, the area has one of the worst records for social mobility in England. The school report that there are generations of unemployment in the area and that they want to give students and their families support to find out what career options are out there. The staff at Newall Green do fantastic work to help broaden students horizons. A ‘success wall’ lines the main entrance where former students appear on posters designed to inspire students as they walk to their classes. An alumni newsletter goes out three times a year to keep former students updated with school news and opportunities to get involved. Alumni return to speak to years 7-13 once every half term to provide a ‘drip effect’ on inspiration for the students. The session began with former students sharing their favourite memory from school. They introduced props so the students could guess what they did, which included a camera lense (Director), a movie clapper (Actor), a virgin media remote control (Virgin media specialist) and a Buddha (R.E. teacher). Students then had time with the alumni in small groups, asking questions about their progression routes and discussing their own goals and aspirations. The former students shared advice on how to get there.